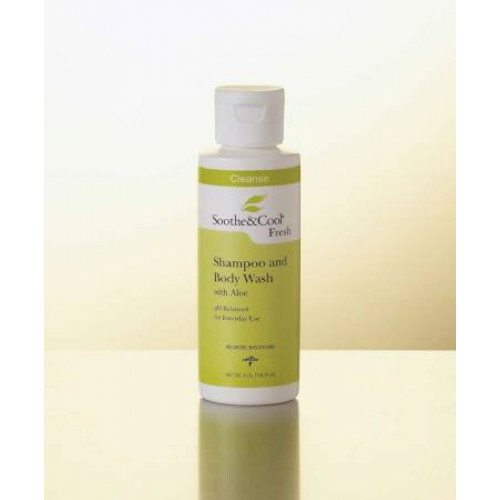 Soothe and Cool Shampoo and Body Wash, manufactured by Medline, is a gentle and effective cleanser that conditions the skin. This product is gentle on the skin while effectively cleaning. It conditions and moisturizes the skin as it cleans. This is done by the PH balanced solution that can help with preventing over-drying of the skin and hair. This product is ideal for nursing homes and care centers because it is shampoo and body wash in one. Having shampoo and body wash in one saves time and resources for both the caregiver and patient. 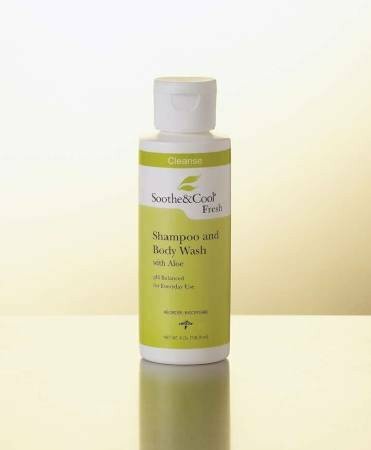 Soothe and Cool Shampoo and Body Wash is available for SALE at Vitality Medical and can provide caregivers and patients convenience and comfort. This bodywash contains aloe to cool and soothe the skin. The low sudsing formula makes it easy to use and rinse. This product has an additional benefit of it's fresh scent fragrance that leaves the hair and skin smelling fresh and clean. BUY Soothe and Cool Shampoo and Body Wash from Vitality Medical today. Product was delivered quickly, professionally packaged, and as advertised at a very fair price. Thank you.